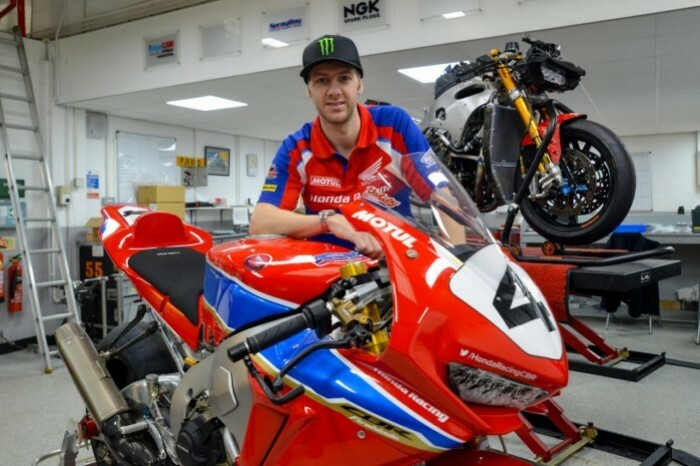 Honda’s Ian Hutchinson remains unsure whether he will be sufficiently recovered from his Isle of Man TT crash last year to line up on the Glencrutchery Road in 2018. The Bingley rider, who replaced John McGuinness in the team for this year, still has his left leg in an external fixator as surgeons continue to try and lengthen the bone but the process is proving a slower one than before. “I went for an X-ray the other week and half of me wanted the surgeon to say there’s absolutely no chance so I could stop putting myself through hell with training and using the frame. But on the other hand I wanted him to it could come off next week,” said Hutchinson, speaking at the TT launch. “I’ll be disappointed. I’ve missed a lot of TTs in the last seven years but there’s nothing that can be done about it.